Franklin Matters: "a great thing considering the town’s history"
"The words of the town’s namesake filled the air. And more than three centuries later, many of them still apply. 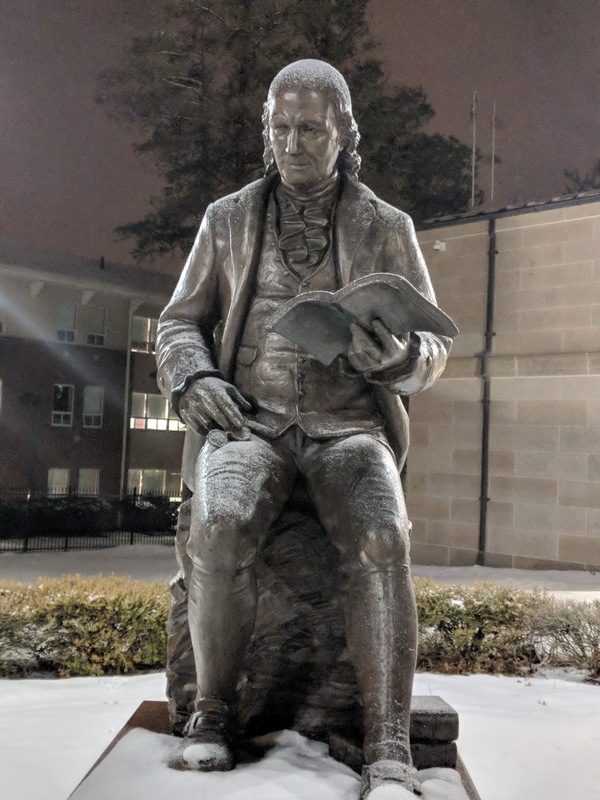 To celebrate the 312th birthday of Benjamin Franklin, the town held an inaugural public readathon of his autobiography at the library on Wednesday. The daylong event included guest readers spanning from Franklin State Rep. Jeff Roy to local engineer and inventor John Berg. Spectators came and went throughout the day, leaving with the words of the founding father jingling around in their heads." I had the unexpected pleasure of reading the last segment to close out the day. It was fun and so much of what Ben wrote is still applicable today.